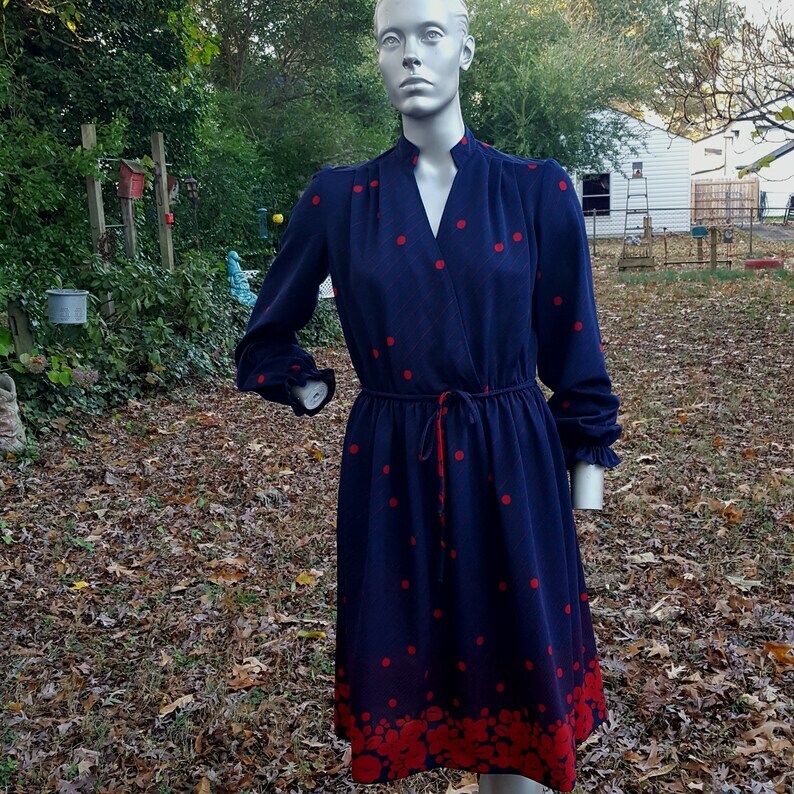 Adorable vintage dress in navy blue and red with a delightful assortment of polka dots, stripes and flowers. 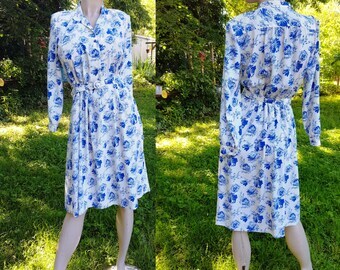 Long sleeves with wrist ruffles and matching piping belt. 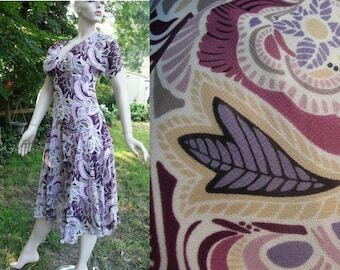 Light knit construction make this 70s dress great for Spring! 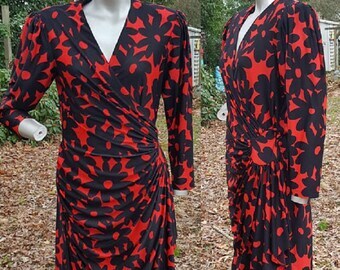 Fabric feels like a stretchy knit.